8th October - 13th October 2018 and 15th October - 20th October 2018 6 Days of coaching and guided climbing around the delightful base of Kalymnos, Greece, covering single pitch sports climbs and multi-pitch mountain routes. This is a weeks climbing to truly remember! We will be based in the beautiful resort of Massouri and stay at the stunning Philoxenia Hotel which is perfectly located beneath the main climbing sectors. The head coach, Rob Davies is a professionally qualifed Mountaineering Instructor with 20 years of climbing, mountaineering and alpinism. This week will give you the opportunity to have dedicated coaching and guiding in an amazing setting. We keep ratios to no more than 1:4. Previous years have seen students move 2 - 3 grades up in their climbing and find new levels of confidence with daily feedback and video analysis of performance and technique. Everything a climbing holiday requires! Contact us below for further information or to reserve your place. Duration: 6 Days / 7 Nights Cost: €650 per person Price includes:7 Days Instruction and coaching; Guiding tailored to your needs, all climbing equipment hire and 7 nights accommodation based on a shared twin room / studio Not included are: Flights, internal transport and food. Location: Kalymnos, Greece Pre-Requisites: Suitable for complete beginners through to those climbing well but with a desire to improve. 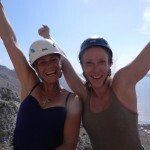 Contact Us or Book Now Additional Information: Kalymnos is a world class sports climbing venue. 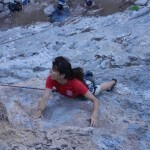 New, fresh and unspoilt, with quantities of quality sport climbing, it's undisputedly a rock climbing paradise island. 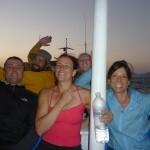 Kalymnos also offers island-hopping for the truly exciting experience of climbing in different venues each day. 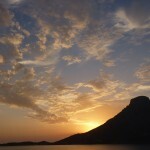 Kalymnos Island has become one of the most popular rock climbing destinations in the world. 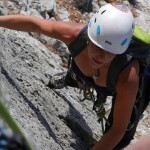 Its unique rock quality, easy and fast access to links between climbing areas, a mild climate and the warm hospitality of local inhabitants, have made Kalymnos a favourite amongst rock climbers. 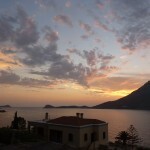 Accommodation http://www.philoxenia-kalymnos.com The Philoxenia Hotel is located on the edge of Massouri Village. It's within walking distance of all the restaurants, taverns, shops and nightlife in the village. 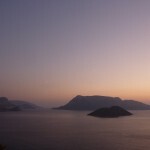 For those wanting to explore Kalymnos, transport is readily available rental shops, bus stops, and taxi service. 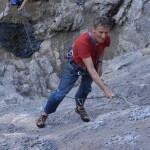 Most climbing venues are within walking distance of your accommodation. All rooms offer A/C, telephones, televisions, refrigerators, and private balconies. Our standard rooms can accommodate 2 persons. Our hotel has a generous selection of facilities: • Swimming pool • Swimming pool bar • Pleasant Veranda with views to Telendos Island • Satellite TV • WIFI • Breakfast • Bar • Parking • Credit cards Weather & climate Greece is known for its very hot summers. We have trips organised for April & October, when it is the best time to visit.